Layla Hair raw Cambodian & Vietnamese hair wholesale vendors offer high-quality human hair toppers, hair topper for thinning crown and wig toppers which are designed to fill in sparse hair. Owing to be one of the most prestigious companies, our top hair pieces and hair topper with bangs designed to conceal various types of partial hair loss. 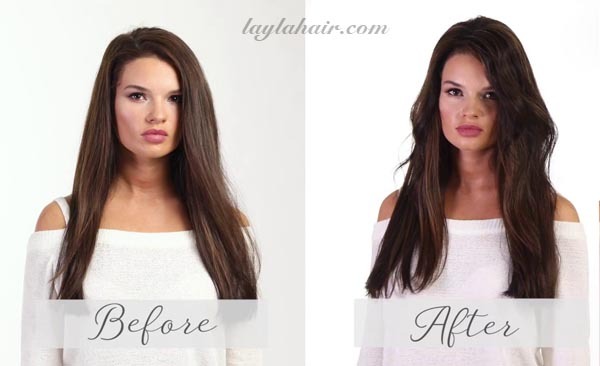 Wearing Layla hair wig toppers, you are no longer worried about your thinning hair and immediately become self-assured with your new thicker hair. Moreover, our monofilament hair topper provides the look of natural hair growth directly from the scalp for a natural look. Whereas, the lace topper gives you the ability to wear lace front hair toppers forward at the front of the hairline seamlessly without the cap showing. That’s why a lot of well-known people and toppers hair salon are fanatical about our hair toppers curly, human hair topper with bangs, blonde hair topper, and hair topper extensions. Our best hair toppers, human hair topper with bangs and wig toppers for thinning hair can wear at the front of the hairline or slightly behind to give you a voluminous look. Perhaps the biggest concern of topper wearers is the extent human hair toppers match your bio hair. 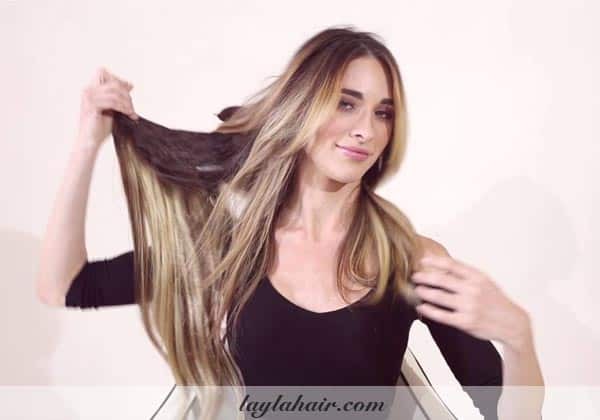 Some women are wondering “Can I gain a seamless and natural look when I put on a human hair topper?” Layla Hair Virgin Hair Company answers “YES, definitely”. Our crown topper and hair toppers for thinning hair come in a wide range of colors to seamlessly blend with your bio hair. A lot of people suffering from thinning hair may worry that these toppers hair pieces might be detectable. But Layla Hair flawless and best hair toppers are invisible when applied correctly. Your friends and family members will not know you are wearing hair toppers for thinning hair or hair toppers bangs unless you tell them! Let see some hair toppers before and after pictures. Nowadays, hair toppers with bangs and hair toppers for thinning crown are the perfect addition to your existing hair. People use human hair toppers to cover sparse or thin areas at the top or part area of their head. In general, there are various methods of attachment such as clip in (clip-on), liquid adhesive, tape adhesive, glue adhesive and so on. However, clip-on hair topper is one of the most favorite and bestselling product in Layla Hair raw Cambodian Hair Supplier. This is because of the fact that clips are easy to use and remove even when you use them for the first time. Hair toppers for women from Layla Hair wholesale human hair distributor usually have 4 pressure sensitive clips. That securely attach the top piece to your existing hair and stay in place through a busy day. If you are looking for synthetic hair toppers for short hair, Layla Hair wholesale virgin hair supplier cannot help you. However, if you are seeking for 100% Human Remy hair, Layla Hair is your best choice. We commit to collecting 100% human hair from a single donor from Vietnam and Cambodia. We make sure that it is Remy hair. Unlike other synthetic hair toppers, human hair wiglets and toppers need a special care to prolong the lifetime. Allow Layla Hair wholesale weave distributor to explain. When there is a lack of moisture in the real human hair? the outermost layer of each strand so-called the cuticle opens up and lets moisture from the air into it. What this does is causes the hair of hairpieces for thinning hair on top to swell. And create the frizzy effect you’re familiar with seeing. 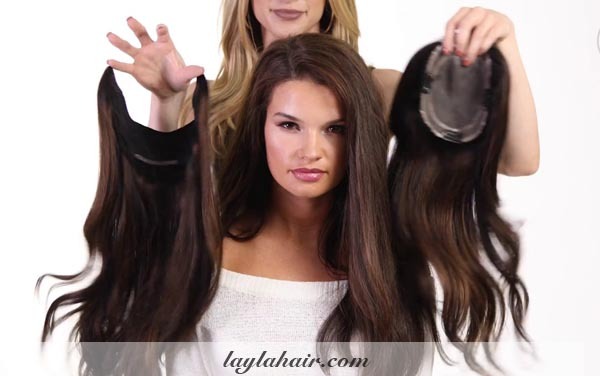 Hair toppers for thinning hair from Layla Hair made from 100% Remy hair which means all strands of hair stay in the same direction from root to top. When you touch our human hair toppers for thinning hair, you can feel that it really likes your own hair. So to avoid the frizzy, please use the shampoos with glycerin high up in the ingredient list. Since it helps combat frizz by penetrating the hair shaft and hydrating it from the inside out. More importantly, because Layla Human Hair Toppers for thinning hair is made from 100% Remy human hair, they can be styled using any heat styling tool. In addition, you can dye, trim and curl our hair toppers thinning hair and clip in human hair topper as you wish. Remy human hair from Human Hair maintains their style, even after washing, making them easy to style with minimal effort.
! Layla Hair company provides you with the best hair topper for thinning hair for blending into your existing hair. Thanks to its ability to be heat styled to flawlessly match your hair. You can opt for our 26-inch curly hair toppers or 24 in body wavy strands for blending with your own wavy hair. Our hidden crown topper and human hair topper for thinning hair are the perfect options for women with thinning hair in specific areas of the scalp. Best human hair toppers of Layla Hair Remy hair wholesale are made from high-quality Remy Human Hair. Our women’s toppers are easy to care for using wig care products specially formulated for human hair wigs. Human hair wiglet topper allows you to easily customize your look just like you would your own hair! 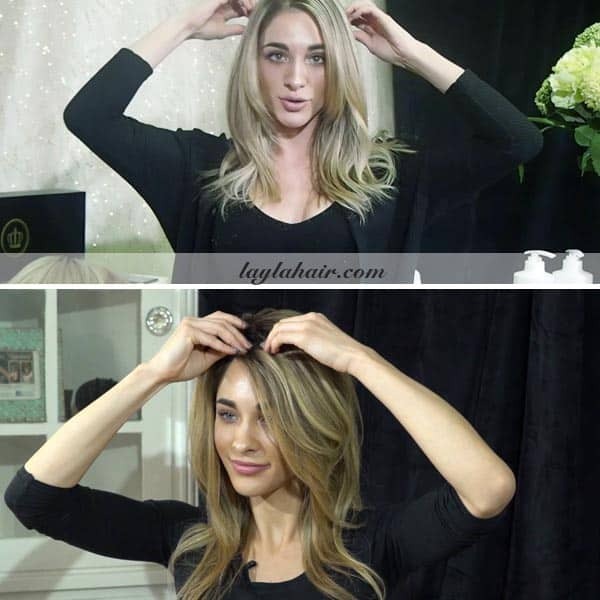 Read human hair topper reviews and shop Layla Hair best women’s hair toppers today! Women’s hair pieces for the top of head allow you to easily customize your look just like you would your own hair. Making it perfect for blending into your existing hair! Pick up our hair toppers for thinning hair if you want to change up your look!